The attractive design and attention grabbing colors make the sign easy to identify that your home is for sale when a person is driving by in their car. The sign can be customized by your self to or you can order our custom version below. 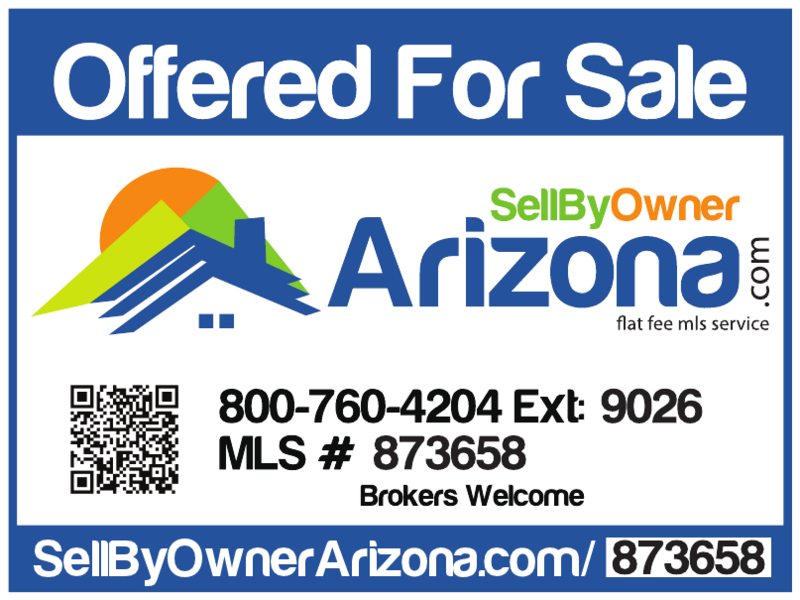 The custom version of our "For Sale By Owner" sign will be printed with our 800 number and you will be assigned a direct extension that will forward callers live to you automatically. 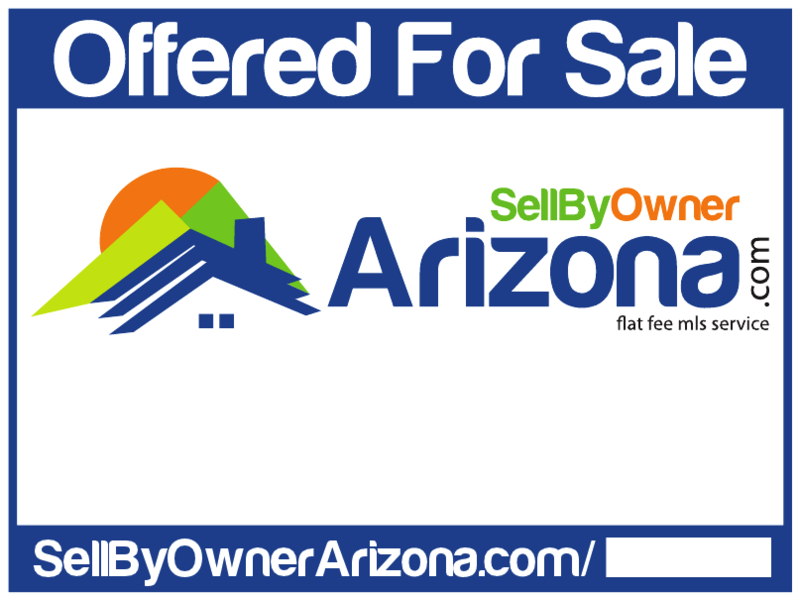 The sign will also have your MLS number printed on the sign with your custom URL that will route people directly to your SellByOwnerArizona.com webpage. For the techies out there, we print a QR (Quick Response) code on the sign so people who drive by with a smart phone can scan the bar code and get access to your webpage with all the photos and information about your home right on their phone. How awesome is that?